Truth be told, I'm not a major Steampunk Fan myself. I do, however, think the style is curiously cool; it is comprised of interesting elements and items in this genre generally provide a feast for the eyes. My curiosity in this genre mostly comes from the fact that we have some friends who are really into the Steampunk "craze" (and also like LEGOs). When I saw that this title was being released, I was super curious to look into it for their sake. Now, Bookworm1 (my son, age 8) is a huge LEGO fan and although he very much enjoyed looking through this (and any other LEGO title) I rather wanted to catch the opinion of our aforementioned friends on this title before reviewing it around these parts. "This book is really interesting." "The sets they built are really cool." "I like the fact that they laid this book out in a scrapbook format." "Steampunk fans are going to love this!" 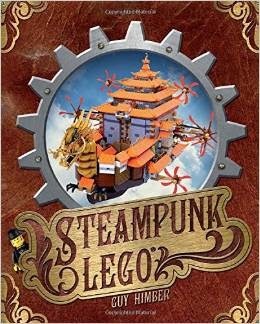 If you like all things Steampunk and if you are fascinated with LEGOs, I think you might want to check this book out. For those of you who are unfamiliar with the genre, I have been assured that you will still like this book although you might be wondering what it's all about. I, for one, appreciate that Guy Himber opens the book by defining just exactly what Steampunk is for the less informed among us. Steampunk is an imaginative alternative history involving 19th century technology. "Its devotees employ a fanciful blend of fantasy, science fiction, and historical adventure to tell their stories." 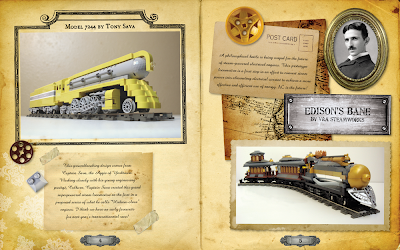 "The artists, authors, and filmmakers who work in the Steampunk genre value independence, creativity and whimsy - which makes LEGO a perfect embodiment of the Steampunk philosophy. LEGO builders don't want mass-produced, generic things but tools from which we can build our own unique ideas and creations." 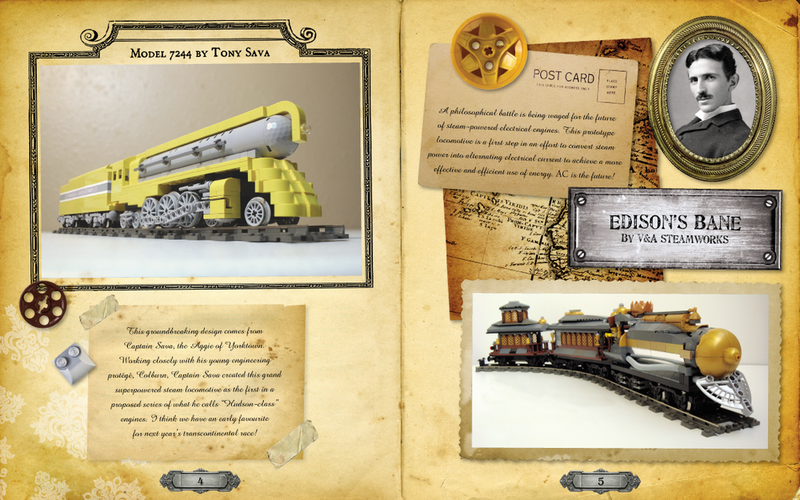 Really, this book is a lot of fun to poke through both as a LEGO fan (always looking for new and different ideas!) or perhaps most especially as a Steampunk fan. 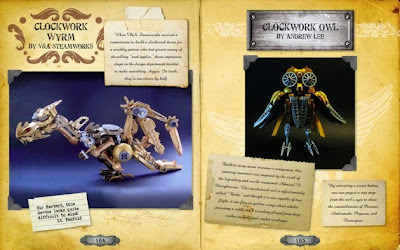 It has been met with curious interest from our Steampunk friends and so I feel no qualms in mentioning it around here as a book of interest. Are you a Steampunk fan? Check this book out! Also, if you are interested, you can see some of our friends' own Steampunk creations at their etsy store, Curiosity Shopper. We think they are pretty creative! Many thanks to No Starch Press who sent a sample copy of this book my direction in order to facilitate this review. I received no additional compensation for this post and all opinions contained in this post are 100% my own (or that of some close friends). How cool! We've been longtime Lego fans, and it's neat to see them go this direction. I don't know if I'd say I am a fan of the Steampunk genre personally - I have no desire to dress or decorate in the style - but I think it's neat. As far as the book world goes, I'm still undecided if I like the steampunk genre or not. THIS book looks really cool, though, and I may have to check my library for it, just to look at the pictures.